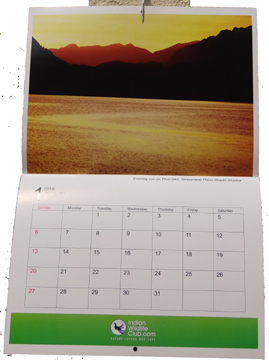 For 2019, we are offering IWC calendars with twelve landscape photographs. 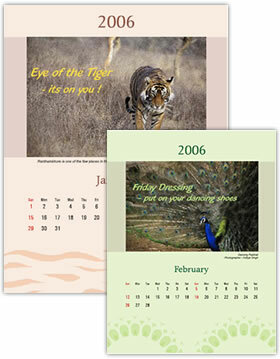 The size is 13'x10" printed on high quality paper with lamination. 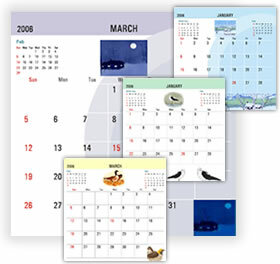 The calendar part is also 13'x10' to enable you to make notings. 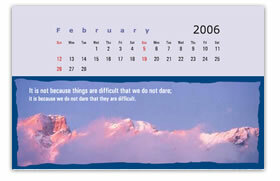 This is a wall calendar. The best part is you can order a minimum of one calendar too! 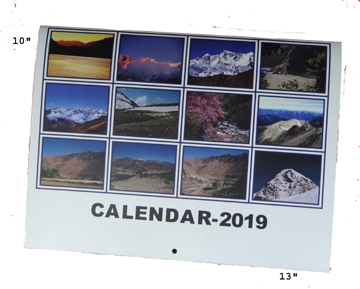 You can send us a request to make your own customised calendars as well with a minimum order of 50, for which quotes will be given seprately. Our discerning customers include KLG Systel, VLCC and Discovery Journeys among others.